Mazi Nnamdi Kanu, the leader of the Indigenous People of Biafra (IPOB) worldwide, is not a spirit but was given birth to like any of us. Since I joined the agitation for the restoration of Biafra, I have been watching and observing with keen interest, how things go and I came to the conclusion that we BIAFRANS are contributing 50% of disobedience on why Biafra has not been realised, while 10% is caused by ignorance, 20% by some world leaders who conspire against Biafra due to their benefits to a united Nigeria, 10% of greed and hatred, but it is appalling that 80% alone fall on our people to restore Biafra. This is the reason why Ralph Uwazurike in one of his press statements, on 19th August 2017, noted that he gave up the struggle because Igbo Biafrans are wicked, ungrateful and full of betrayals. 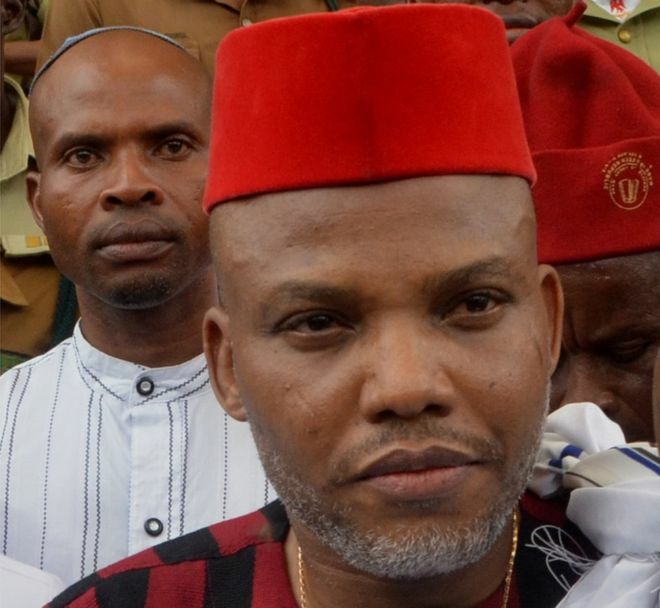 Despite the unlawful incarceration of our leader in kuje prison for two years, the invasion and destruction of his family house by the Nigerian army were scores of unarmed Biafrans who paid him a solidarity visit, were brutalised and gruesomely killed by the Nigerian army, he still remained more resolute to his belief that made him exceptionally different and divine, to lead us to the promised land. Our leader Mazi Nnamdi Kanu has applied different approaches of law known to the UN (United Nations) charter to liberate our people to an extent IPOB (Indigenous People of Biafra) worldwide, was rated "the most peaceful freedom mass indigenous movement in the history of agitation". Yet, the Biafran politicians who ought to work in tandem with this agitation are against him due to their individual interests without considering the plight of the majority. Only the reaction and action of our Igbo Biafran brethren will dampen your spirit if you are in the shoes of Mazi Nnamdi Kanu, he deserves accolades than criticism. a man like Mazi Nnamdi Kanu come but once in a life time. He called for Sit-At-Home and it was adhered to, he called for election boycott in Biafra land, he was called names by Biafra supporters, he called off the election boycott he was also called names by Biafran politicians. Along the way, he faced a lot of pressure, pressure to get along, to toe the line, to look the other way when you see things you know are not right and pressured to do things simply because everybody else is doing them. But never did he give in to that pressure. He has the fortitude to do the right thing, not the easy thing. He has the courage to speak the truth even when it is hard, even when it is unpopular. And still has the courage to put himself on the line, to strive for something meaningful, and even to risk what could be an embarrassing failure. My courteous questions to Biafrans are: What will be your reaction by now, if you are Mazi Nnamdi Kanu? What will you do if he did not get Biafra? Will you hold him accountable if Biafra does not come in his time? It is high time we call a spade a spade and unanimously give him the support he needs. Mazi Nnamdi Kanu did not lose his nerve when things seemed bleak. He showed the fortitude that is necessary to handle a tough situation and to deal with life’s inevitable setbacks. And so, it takes courage, knowledge, a strong sense of resilience and a capacity to overcome failure. Biafra is a divine project. It is something that we all must work hard to achieve. It is important to respect what he (Mazi Nnamdi Kanu) has done and to be grateful for it. To categorically and indiscriminately judge him is simply another form of prejudice and ignorance. It is not fair, it is not just, it is simply wrong. We all need to have the strength of character to hold ourselves accountable too, in every aspect of our lives. And I am confident that we all will recover in the short term. But in the long run, we in this generation must continue to confront and conquer the challenges we face.